Salted egg is taking over the world , slowly but surely. Some months ago, I happened to try some salted egg chips and found the taste to be really quite interesting ! My taste buds took a while to adjust but it was something I kept thinking about for a while ! Fast forward to a few weeks ago when we were busy with preparations for Eiding The Feast 2016.. When I stumbled upon Salted Egg Crisps which were 100% Muslim-made! Knowing that my husband would probably appreciate this, I decided to order a bag of chips (500grams) for us to enjoy. I drove down to Pasir Ris to collect the crisps from the owner herself the day before Eid and my Husband and I were quite excited to try it after we had broken our fast ! The crisps were surprisingly thick and were not as paper thin as I imagined it would be. As such, chomping through the chips was actually quite filling ! Being thicker also meant that the salted egg paste did not overwhelm the crisps, coating it lightly instead but not too light that you don’t get any of the salted egg taste. Although it is fried with curry leaves as well, I don’t seem to find that the dish is overwhelmed by the taste of curry leaves either. Personally, for me, I felt that there was a nice balance of Flavours in the crisps. I think I also appreciated the fact that it wasn’t overly salty, as potato chips can be ! I find that some chips are so salty that I actually dust the salt off before eating them, but that’s really my personal preference ! If I had only one gripe, it would be that for $22 /500g, it does lean towards the pricey side and not everyone would be willing to fork out the money for it. I was told that they also sell these in smaller sizes ($6/120g) but I think that would be gone wayyyy too quickly in my opinion! 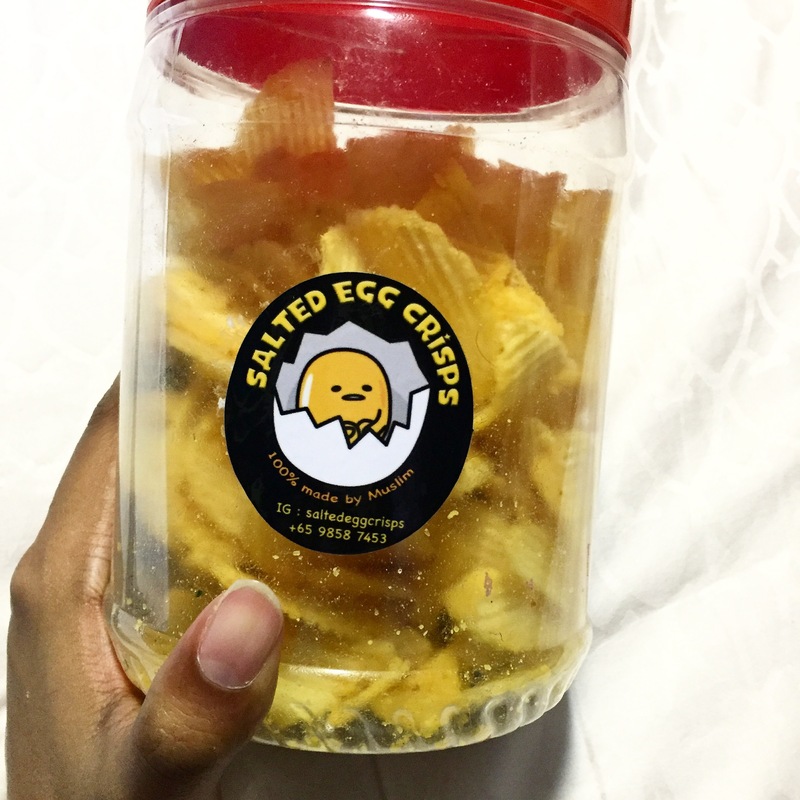 Salted Egg Crisps have opened their next batch of orders via their Instagram site and will close their orders on 11th July 2016 or when they reach maximum orders (whichever comes first!). and see if this catches your fancy!